People tend to live within their cultural boundaries. At RFN we respect and understand these cultural values and standards and implant them in media in such a way that consumers can “see themselves” and identify with and feel affinity with the message and brand. 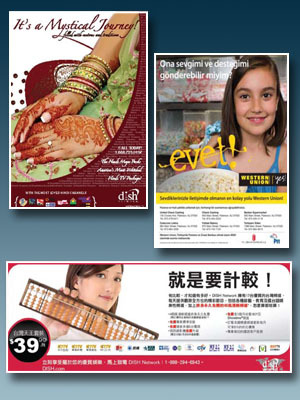 Hhere at RFN one of our biggest strengths is ethnic marketing. We have many years of experience dealing with numerous divergent ethnic communities throughout the tri-state area, Canada, and beyond. There is no denying that the United States is an extremely diverse nation, specifically in, and around big cities. One aspect which makes ethnic marketing extremely valuable is the increased visibility it affords. One of the keys of maximizing ethnic marketing leads is to obtain an understanding of the cultural factors which influence decisions made by a particular ethnic segment. This is one factor we take very seriously, and it shows in the results. Our method of ethnic marketing focuses on customizing messaging and marketing channels for each target group, as opposed to simply translating a general message into different languages, or including token representation of different ethnic groups in imagery. If you are interested in reaching out to ethnic segments, please contact us, and we can discuss your mission, objective, and solutions.